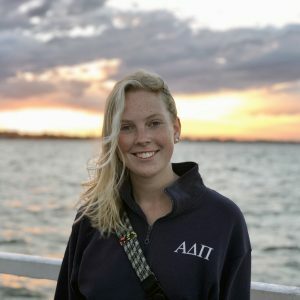 Sydney Montgomery is a returning study abroad student who spent her fall 2018 semester at Australian Catholic University in Brisbane, Australia. She is a junior majoring in Sociology with a minor in Psychology. IPC: WHy did you choose to study in Australia? SM: My name’s Sydney, so I’ve been in love with Australia ever since I was in elementary school and did projects on it. I wanted to be able to travel somewhere that I would probably never get the chance to again. Past study abroad students let me know that Australia was such a great country to visit due to all of the activities you’re able to do there. IPC: What is the most impactful lesson you learned during your time abroad? SM: I learned independence while I was in Australia. I’d never lived in an apartment and had to cook every meal for myself and things like that, so that was a big change. I can now depend on myself to do most things for myself. SM: You figure out who you are when abroad. You don’t have ANYONE to rely on, so you really get to know yourself at a more personal level. You can learn a lot about yourself you’d never be able to unless you were in this situation.